New research found that the San Francisco Bay Area was sinking at a rate of up to 10 millimetres a year in certain areas. Coupled with a rising sea level, the sinking could mean that much more of the area will be vulnerable to flooding by the end of the century. Researchers say that beyond drastically reducing emissions, there’s not much we can do to stop it. As if there weren’t enough reasons to leave the San Francisco Bay Area, parts of it are sinking into the Pacific Ocean, new research has found. 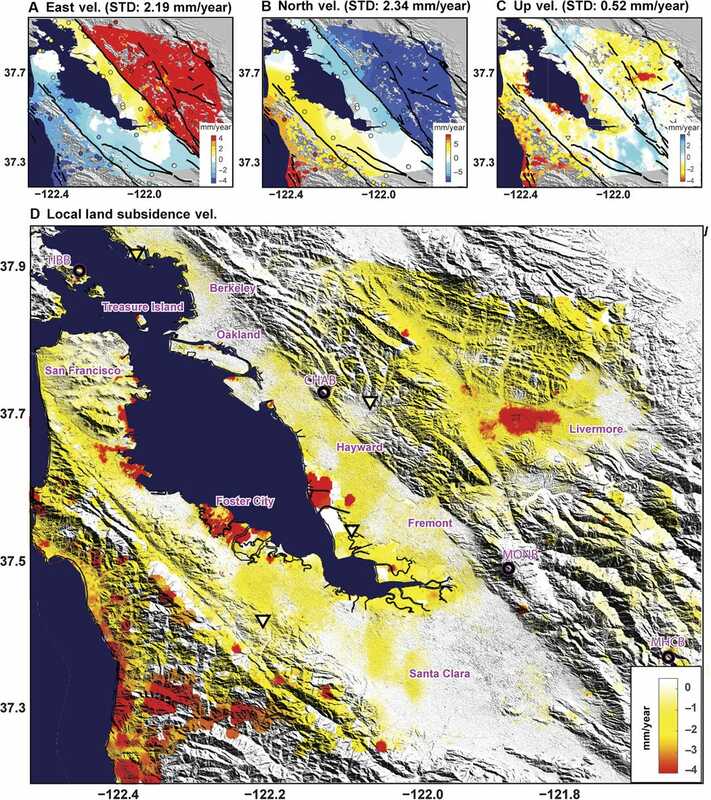 While scientists have long understood that the sea level is rising around the Bay Area, a new paper in the journal Science Advances says the land itself is sinking through a process called subsidence. 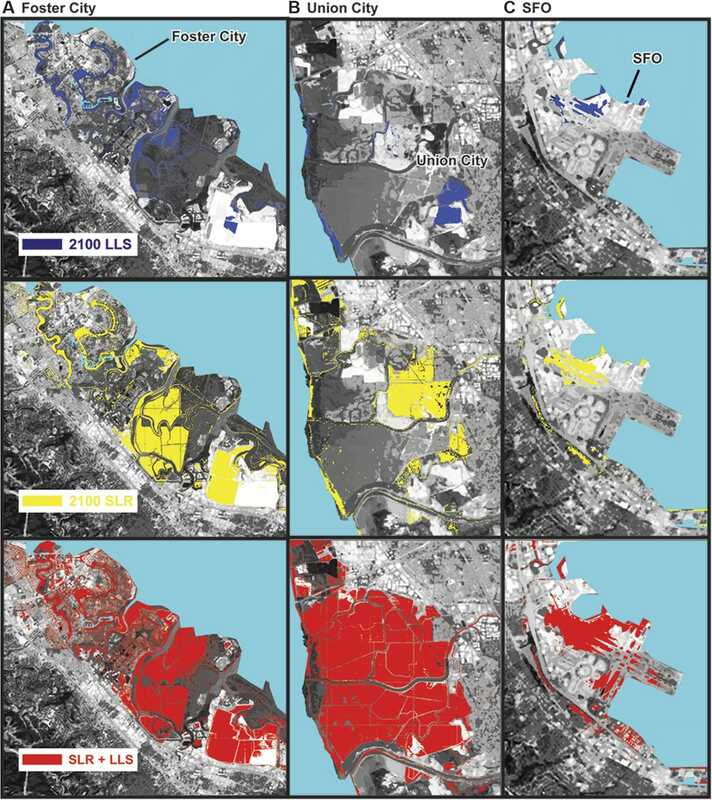 The maps below show just how flooded San Francisco could be by the end of the century. Using satellites to measure the rate at which the land is sinking, the researchers found that it was about 2 millimetres a year for much of the city’s coast and about 10 a year for some sections. Subsidence occurs when the layers of the soil, or substrate, slowly collapse. Groundwater can “deflate” the land above it – a process amplified in parts of the Bay Area built on landfill or Holocene-era mud deposits, according to the paper. 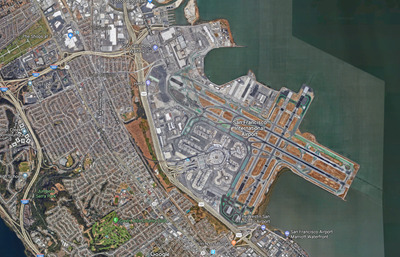 By combining this new data on subsidence with data on sea-level rise, the researchers concluded that much more of the San Francisco Bay Area could be underwater by the end of the century than previously thought. 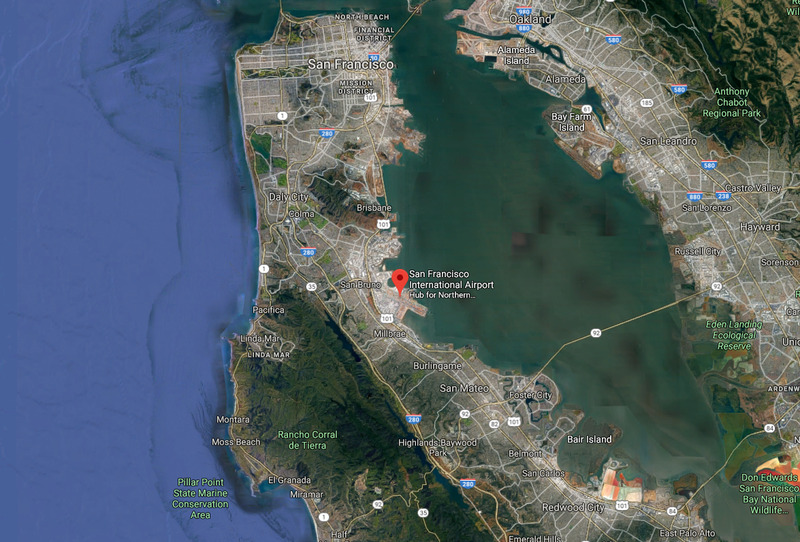 Google EarthThe Bay Area today. To put that into perspective, the researchers generated maps — based on different emissions-reduction scenarios — combining elevation data with predicted sea-level rise and subsidence rates. Science AdvancesExamples of areas that could have significant inundation by 2100. They found that current flooding projections underestimated how much of the area could be underwater by 2100 by 3.7% at the low end and a whopping 90.9% at the high end. The researchers predict that up to 165 square miles of the Bay Area will be vulnerable to flooding in the future. The maps above show areas of the city – with the airport at the center – susceptible to flooding under three scenarios. The top map is how much land could be underwater when accounting for only land subsidence, or LLS. The yellow one in the middle depicts sea-level rise, or SLR. The third scenario, in red on the bottom, shows the combination of sea-level rise with the highest predicted rate of subsidence. 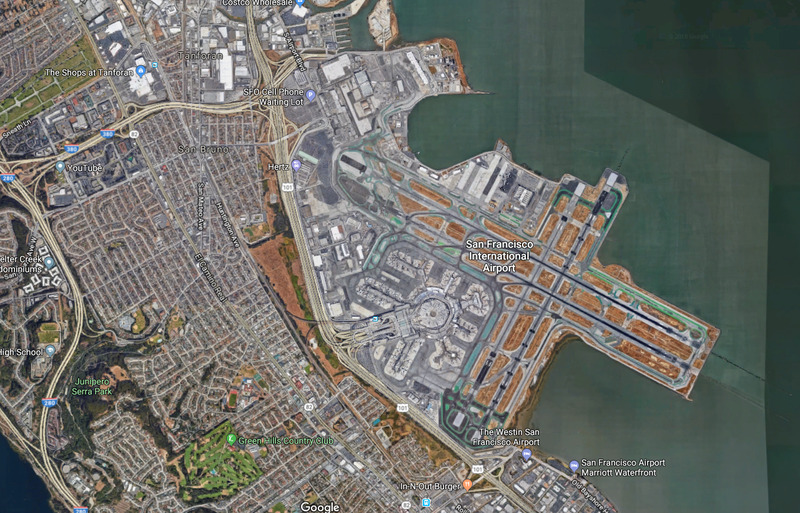 It would leave much of San Francisco International Airport, Foster City, and Union City underwater. 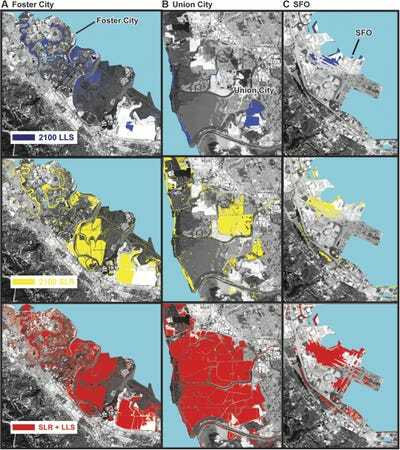 These new maps have powerful ramifications for insurance companies and the highly valued properties along the Bay Area’s coastline. The airport, as well as properties around it, appear particularly vulnerable to flooding. More than 53 million people flew into or out of San Francisco in 2016 – and that number is expected to increase. The researchers say there’s not much we can do to stop the flooding — other than attacking the root causes of sea-level rise by cutting emissions. “There is no permanent solution to this problem,” Manoochehr Shirzaei, one of the paper’s authors, told Wired.